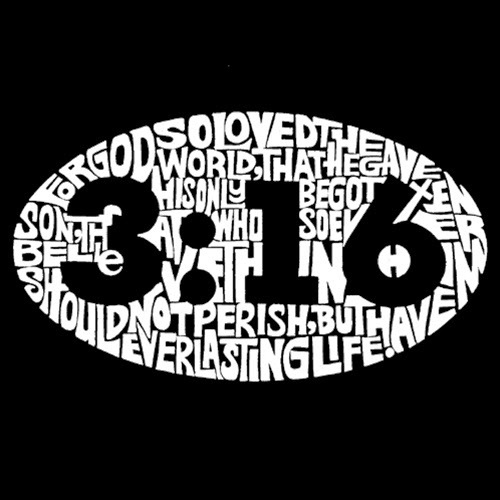 John 3:16 is perhaps the greatest summary of the gospel we have in the Bible. Maybe a closer look at the good news of Jesus will impel believers and churches to share him and pass on his life-giving message not because we have to but because we want to. Maybe the great message will inspire a great mission impulse. “God” is the greatest subject ever. The Bible certainly contains lots of messages, promises, and commands. But those are not the primary purpose for having the Holy Scriptures. The Bible has been given to us as a revelation or self-revealing of God to us. In other words, we have this Book in order to know God. Every time we use it, read it, quote it, pray from it, preach it, listen to it, and learn it, God’s Word is designed for us to know God. Anything short of knowing God falls short of the Bible’s intended purpose. “So” is the greatest extent ever. There is a great wideness to God. That is, God is big, expansive, and huge. Nothing is outside of his reach. So, when God decides he is going to do something, there is nothing that can stop him. We might be limited in our strength and abilities to accomplish things. But God’s extent is limitless. Our extent is temporary and small. But God takes our human prayers and uses them to accomplish his purposes on this earth. “Loved” is the greatest demonstration ever. “The world” is the greatest object ever. The Jews of Jesus’ day could easily understand that God loved the nation of Israel; they readily bought into the knowledge that God loved his chosen people; but to say that God loved the world was going too far. It meant that God loved Gentiles, specifically, Romans who occupied their land and oppressed their rights. To capture the punch of this, it would be like Jesus showing up among us and saying that God so loved I.S.I.S. Certainly God hates evil and is opposed to all that destroys. But God loves people for whom he placed his image and likeness within. For God to love the world is an incredible and scandalous thought because there are so many unlovely people in the world. “That he gave his one and only Son” is the greatest gift ever. God did not send his Son into the world to condemn the world, but to save the world through him. God did not give his leftovers. He did not give his second-hand items. God gave what was dearest to him. God gave his best and most beloved gift he could ever give. So, if it takes cajoling and exhortation for us to give the gift of Jesus, then the problem lies in our hearts. It takes coming back to God’s Word and knowing the love of God in Christ through the Scriptures. If you lack love, pray earnestly for it. “That whoever” is the greatest opportunity ever. If the greatest gift a person could ever receive is Jesus, then the best opportunity one could take advantage of is Jesus. If you only know Jesus as someone you hear about once in a while, then you have the opportunity today to know him as Lord, Savior, teacher, healer, and friend. If you have been familiar with the name of Jesus all your life but it has not really gone much further than that, then the next point is vitally important…. “Believes in him” is the greatest commitment ever. Jesus does not want only your acknowledgment of him; he wants you. Faith is not only recognition of certain truths; it demands action. Whenever I go home, our dog, Max Power, gets extremely excited. He is not really my dog, so I don’t really get excited about him. Everyone in the family knows what I am going to probably say to him: “Yes, Max, I acknowledge your existence.” I say it in hopes that he will just kind of leave me alone and let me go about my business. But Max wants more. He wants my affection, my love, and my commitment. He wants a pet, a walk, food and water, and all the stuff dogs need. God does not want to be treated like an annoying puppy. God wants our commitment. He does not want us to show up for church once in a while and say to him, “I acknowledge your existence.” The most common response I get from people when sharing the gift of Jesus is “Yes, I believe in Jesus.” It is their way of saying that they acknowledge his existence. It is their way of saying that they are not much interested in giving their lives to him because they just want to go about their business without God pestering them about anything. But God does demand something from us – our very souls. “Shall not perish” is the greatest rescue ever. We either believe or perish. Those are the only two options. People perish not because God is unloving but because we like our sin and we have no intention of changing to accommodate a holy God in our lives. The Titanic lost so many hundreds of people not because there was not enough room on the lifeboats. In fact, most of the lifeboats went into the water only about three-fourths full. A good many people simply did not believe they were perishing. They trusted in the “unsinkable” ship. Only Jesus can save. “But have eternal life” is the greatest promise ever. The promise actually begins now, not someday. Life is having a life-saving and life-giving relationship with Jesus. It can be had today. If you have ever had the feeling that there is something more to life than what you are experiencing; if you have ever wished that you could start over; if you have ever felt that you just can’t do this on your own; then, I have the greatest news for you that you could ever hear. God has made a way to take care of all your guilt, shame, and lack of direction. He loves you deeply in the person of Jesus Christ. You can have new life in Jesus. The way to have real life is to give up your old one and follow Jesus….